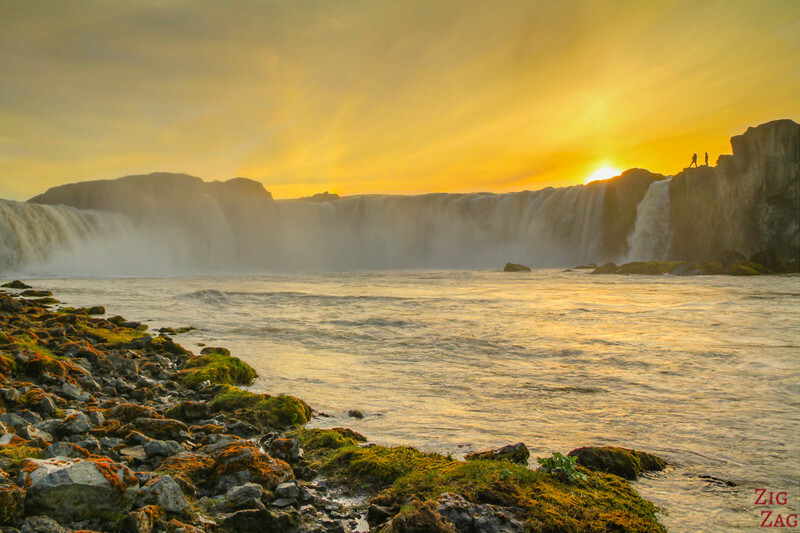 The Godafoss Waterfall Iceland is one of the main stops on the Ring Road. 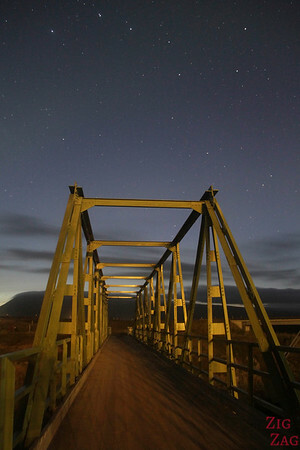 You can access it easily between Akureyri and Myvatn. 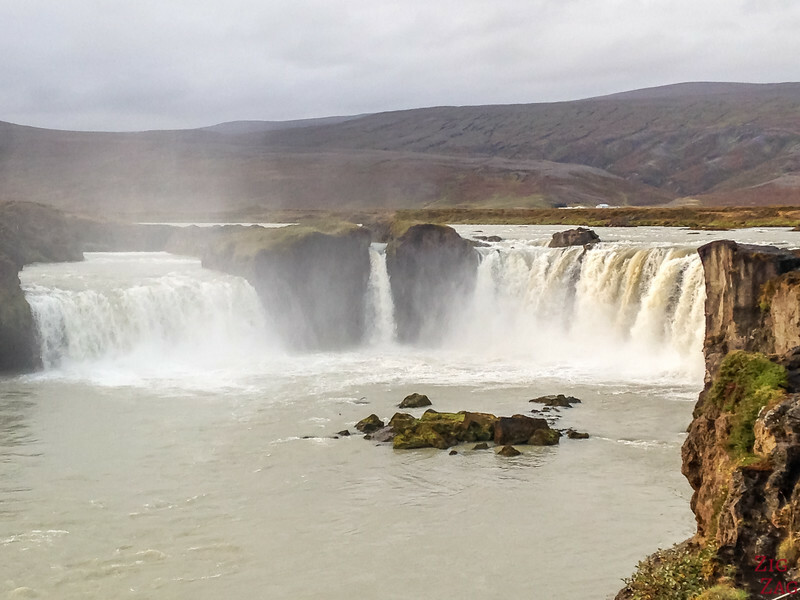 The 'waterfall of the gods’ is a very elegant horseshoe-shaped waterfall that you can approach from both sides all year round. Below is my guide to help you plan your visit. 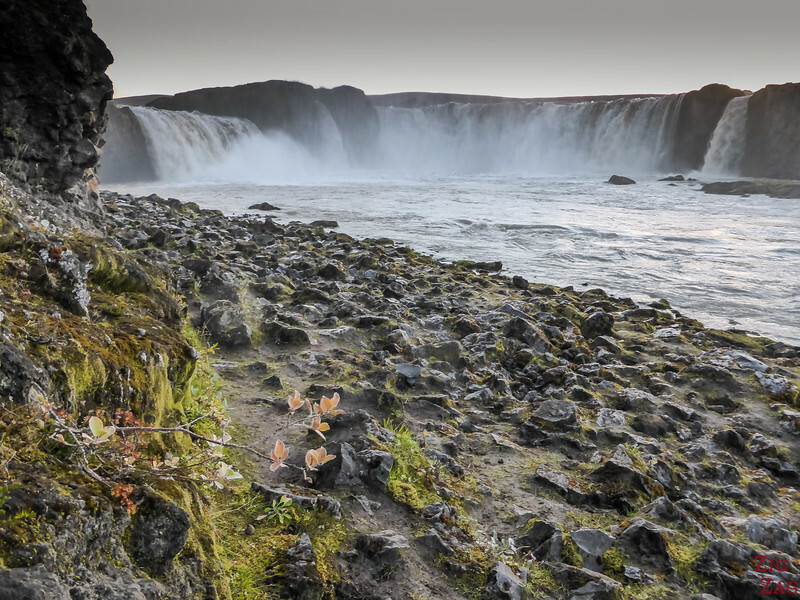 Godafoss is one of the most spectacular waterfalls in Iceland and it is easily accessible next to road 1. 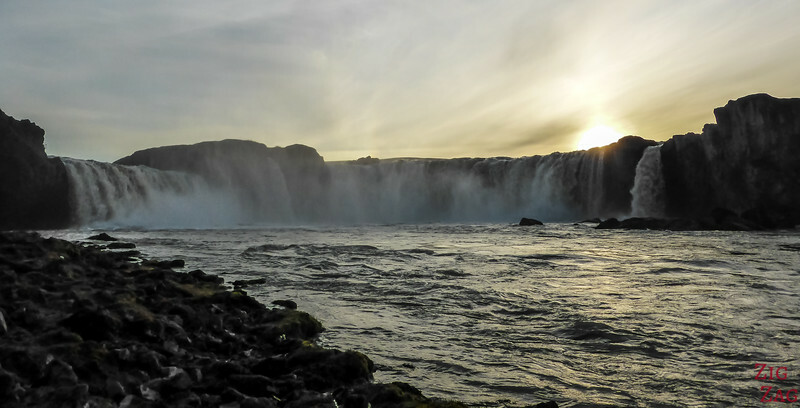 The water from the river Skjálfandafljót drops from a height of 12 meters. What I find beautiful is the elegant 30 meter wide horseshoe shape and the big rock separating the flow in the middle. 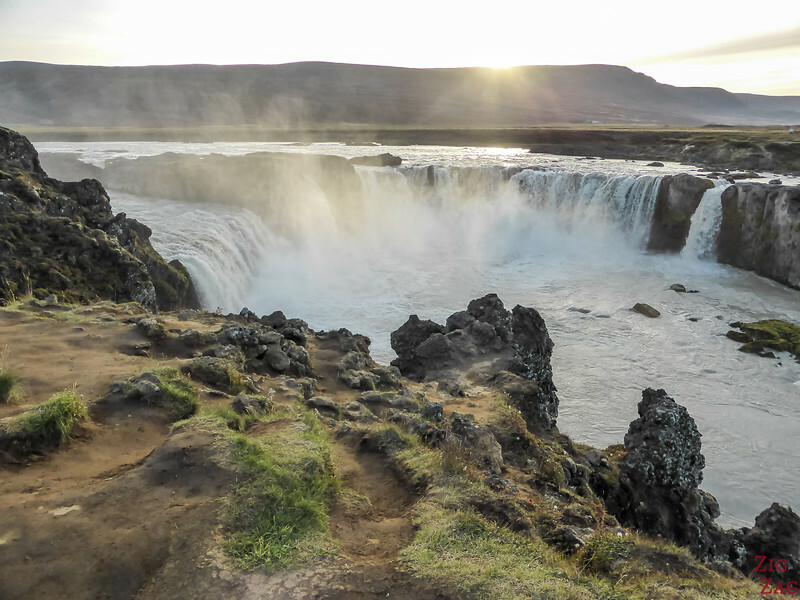 The Godafoss Waterfall got its name during year 999 or 1000 when Christianity was declared the official religion of Iceland. After that the local Lawspeker threw his statues of the Norse pagan gods into the waterfall. Hence the ‘waterfall of gods’. Along road 1 between Aukureyri and Myvatn, 50 km from Akureyri. You really cannot miss it. The ‘town’ is called Fossholl. Right side Views (west side) – views next to the parking, possibility to get very close but attention it is slippery. At sunset on the East side I had the waterfall all to myself! Next to the café there is a bridge to cross the river if you wish to leave your car on one side. From the bridge you can see a small waterfall called Geitafoss. As I started freezing at the bottom of the waterfall and was wondering if there were more interesting colors with a different angles (as the sun has disappeared), I climbed back up the East Bank of the fall. The sun was not in the right position late afternoon but it was great once the sun had set with the remaining colors behind the waterfall. The next day, in the morning, I stopped on the West side where you get a better view of the flow separation. I think if you have a little bit of time, you should visit both side of the waterfall. 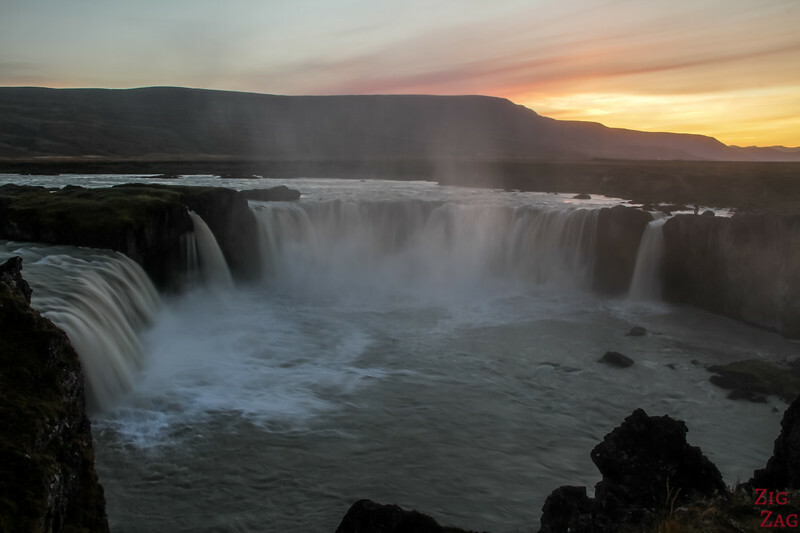 Then you can drive to Aldeyjarfoss, an off the path waterfall on the same river which requires some dirt road and 4 WD driving. 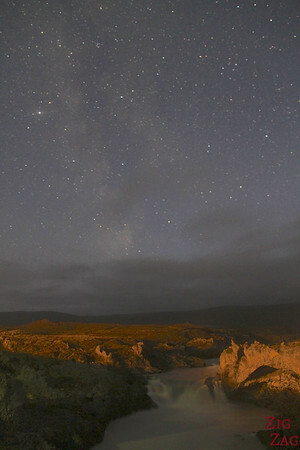 As I was staying at the guesthouse near the falls I went out to take some photos of the stars. Sadly the station next to the bridge was too bright and I decided it was not reasonable for me to walk the trail to the waterfall in the dark as I was very tired. The second picture was taken from the bridge with Geitafoss. Its shape is very elegant, don’t you think? Really great looking waterfall. 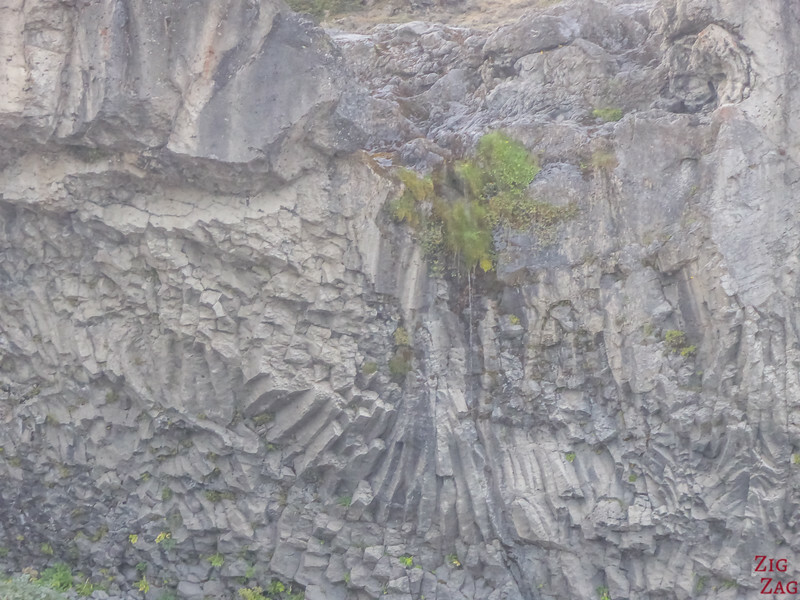 Those rocks on the center looks like a good place rest and observe the water fall.